It has been an exciting and sometimes challenging few years for community energy, with swift changes to low carbon energy technologies and the energy system. Community energy has grown rapidly, with 228 active organisations across England, Wales and Northern Ireland, now generating 170 MW capacity. Those numbers may still seem to be small to some, but the impact that community energy has on people and places never ceases to amaze me. Those 228 organisations are supported by over 48,000 members and 1,800 volunteers. From the 67 energy efficiency projects undertaken during 2017, 84,000 community members were engaged and over 1,000 energy efficiency upgrades installed. These numbers shouldn’t surprise me. One of community energy’s key strengths has always been the level of public support it has and its role as a trusted intermediary. Community energy has the potential to deliver powerful local energy solutions that focus on a better deal for the people that use and pay for that energy. It builds trust with consumers through sustained engagement and a genuine, in-depth understanding of a place, its residents and businesses, allowing it to foster relationships with the most vulnerable members of society. Through its democratic governance structures, investment models and engagement practices, community energy also brings more people into the energy transition, including those that may not have been engaged before. It is effective at raising money locally, thanks again to its high level of public support, through community shares, bond offers and crowdfunding. And it brings additional economic benefit into communities through community funding and its wider activities. Using revenues they generated, community projects allocated £1.1m in funding to their local areas last year and undertook a host of activities related to reducing energy bills, giving fuel poverty advice, investing in community facilities, improving biodiversity, school projects, and much more. It also offers a practical means for people to take local action on issues, such as climate change and energy resilience. I believe we will see increasing numbers of people engaging in community energy over the next few years. Indeed, a recent survey conducted by Electricity North West found that 70% of British consumers believe they have a role to play in the UK’s infrastructure. Energise Barnsley is one of many community enterprises helping people to play a more active role in the energy system while lowering costs for consumers. Energise Barnsley, working with Barnsley Council, Northern Powergrid and Moixa, has installed solar panels in 321 council homes, municipal buildings and schools, focusing on people at risk of fuel poverty. It is now investigating the potential of battery storage in mitigating the need for network reinforcement, utilising smart batteries, thermal stores and air source heat pumps. It is also using the batteries and solar residential installations to pilot a peer-to-peer trading platform and has secured a connection for a 7 MWh standalone battery. Elaine Marsh, a retired NHS secretary living in one of the properties with PV and a battery, used to pay £350 a year for her electricity, but now her annual bill is only £185. She takes an active role in using her energy system, using most of her utilities at night, drawing energy from the battery. Community energy is, of course, not without its challenges. Our recent State of the Sector report found a 31% drop in new community-owned generation capacity being installed from 2016 to 2017 and 66 projects under development stalled within the last two years. The greatest barrier has, unsurprisingly, been the reduction of subsidy support. But other barriers include planning processes, grid costs and complexity, and access to suitable sites. Community enterprises are having to revisit their business models to assess how to continue to develop projects that deliver community benefit. They are also looking at how best to contribute towards a more decentralised, decarbonised and democratised energy system. Of course, that is essentially what community energy set out to do, and both the private and public sectors are realising the value that communities can bring to the energy transition. The public and private partnership with Energise Barnsley is an excellent example of collaboration delivering reduced costs for consumers. And while last year saw a fall in the number of new projects coming onstream, communities are showing resilience and motivation to overcome the barriers seen in 2017, including innovation in technologies, business models and project structures. 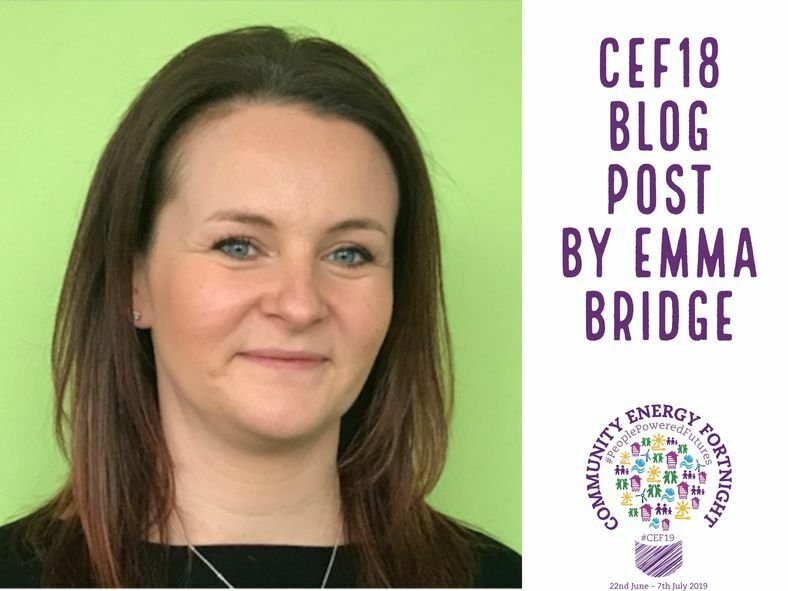 The enthusiasm in the sector is demonstrated through Community Energy Fortnight, a platform to showcase inspiring examples of communities who are working tirelessly to ensure that people are put at the heart of the energy system. This year is the biggest yet, with 162 events taking place across the UK. As the Fortnight draws to a close, I can’t help but look to the future eager to see what lies in store for community energy.